In case I need a worm-ectomy. I’m not an expert in Lebanese food, I just love it. But this place is serious. I did not know that kibbi, unless you specify you want it fried, comes raw. The kibbi I know are small football shaped ground lamb and pine nut balls. I ordered kibbi and a mound of raw lamb meat was plopped in front of me. I hate to seem unsophisticated so I ate it and it was great. 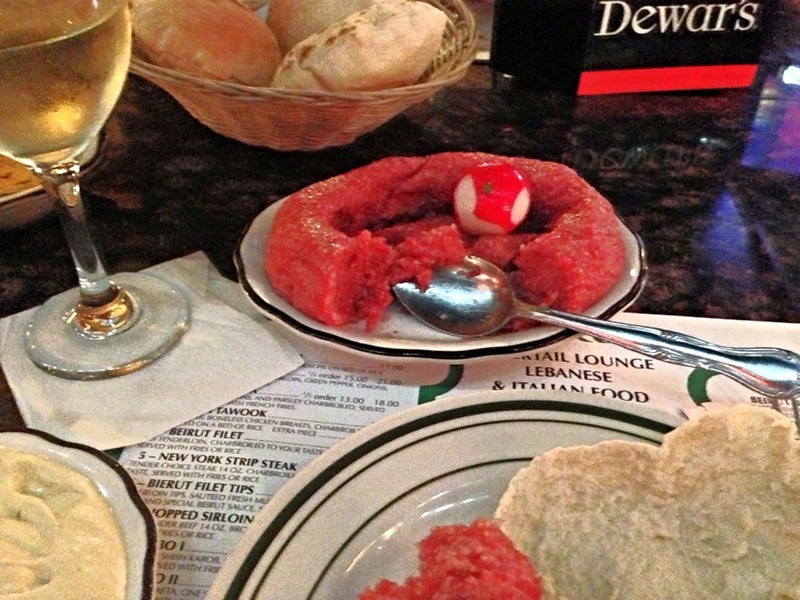 A gamier and nuttier steak tartare and steak tartare is my favorite. This pride gets me into a lot of trouble and weird things into my gut. But it’s good to try things: Duck gizzards and duck tongues are now some of my favorite dishes. You’re right, it’s pretty much steak tartare. I’m so thrilled you liked the kibbe! !